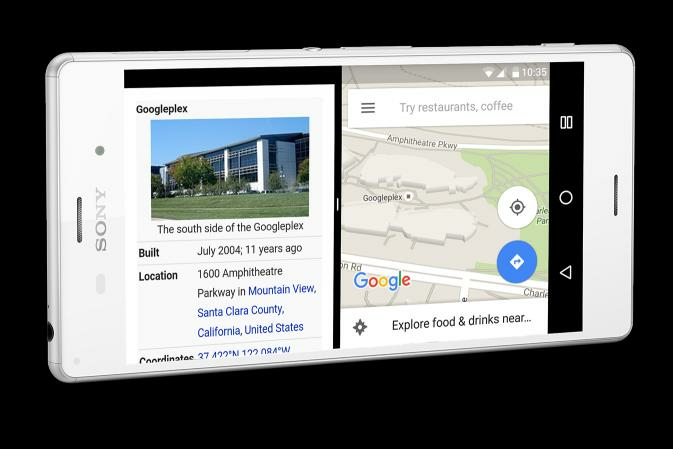 This could be a sign that Google's beta build of Android could come to more non-Nexus devices. Android N is sneaking out beyond just Nexus devices. Two versions of the Sony Xperia Z3 are now eligible for the preview version of Google’s operating system. Those with the D6603 and D6653 variants can grab the Android N Developer Preview and install it on their phones and get the forthcoming over-the-air updates until Google finishes off the software. These are the first mainstream phones to join the program, as the only other non-Nexus device is the General Mobile 4G, a low-end Android One phone. 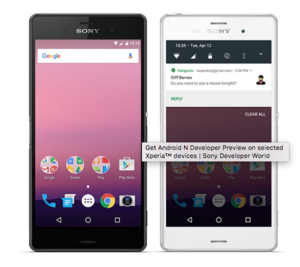 Get all the new features of Android N on a pair of Sony Xperia devices. The Android N build supports all the new features, such as split-screen mode, bundled notifications, and direct-reply notifications. Why this matters: This makes us wonder if we’ll see Android N previews branch out to other non-Nexus phones. It could be part of Google’s strategy to get Android N on as much hardware as possible as part of a plan to finally beat back the ecosystem’s rampant fragmentation. Google has always shied away from actually forcing more restrictive update policies, so it appears the plan to push out Android N faster is to make the process as trouble-free for handset makers.